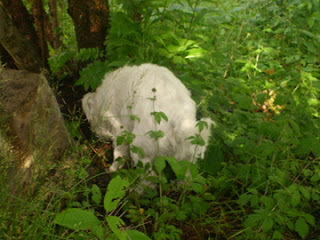 On Midsummer Day there was no time to sleep in after the long Midsummer Eve celebration. 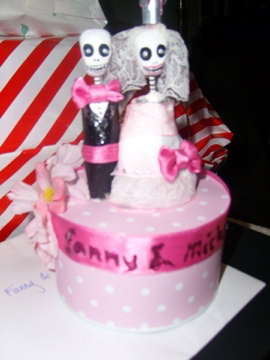 Because on this day Fanny Kellerman and Michael McCarthy became Mr and Mrs Kellerman. The wedding took place in the mother of the bride's garden. We were around seventy guests who gathered under umbrellas in the pouring rain to witness the short ceremony. After that we all drank champagne and sang "Singin' in the rain" to the tunes of an accordion. Then it happened! It stopped raining, the sun came out, and the rest of the day/evening/night became a perfect summer feast with music, dancing, food, friend making, wine and more food! 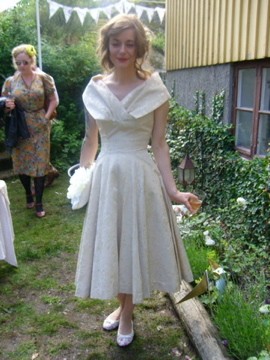 The beautiful bride wore a lovely tea length vintage dress from the 50s. She said that I would get it if she died, but I love both her and Michael too much to ruin their life together by killing the bride. Buggers! 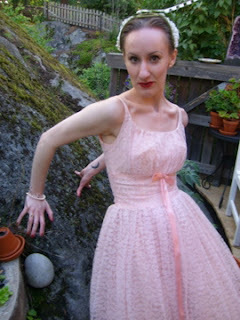 Later she changed into another gorgeous vintage dress she had found in her own shop Kellerman Vintage. 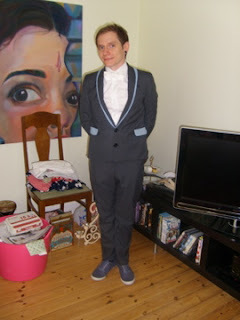 The groom wore a custom made mods inspired suit, designed by the himself and the bride together with the seamstress. 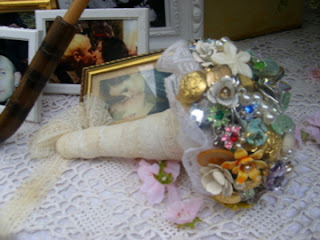 The bridal bouquet Fanny had made herself with buttons, pearls and broaches. It sparkled beautifully when the sun decided to come out. 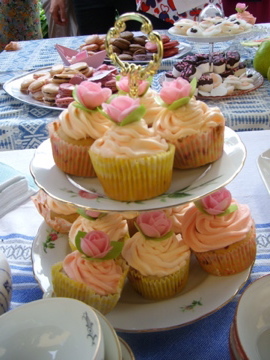 All the goodies - and they were many - on the coffee table went in pastel colors. Wish I could have tasted everything! When the sun shone on Kajsa's sequin covered blouse we hung her in a tree and used her as our own perfect disco ball!...Ok. That was a bit of a lie. 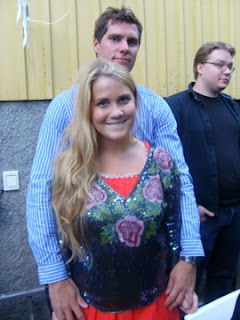 But we could have!...Here she is with her man Mikael. Tim Burtonesque wedding gift by Kari Ekermann. Gorgeous wedding gowns! 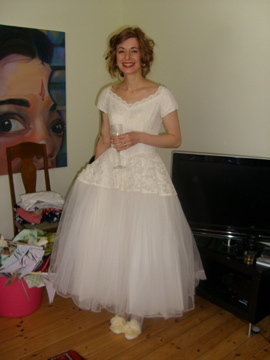 And your dress was beautiful too! Love the colour!